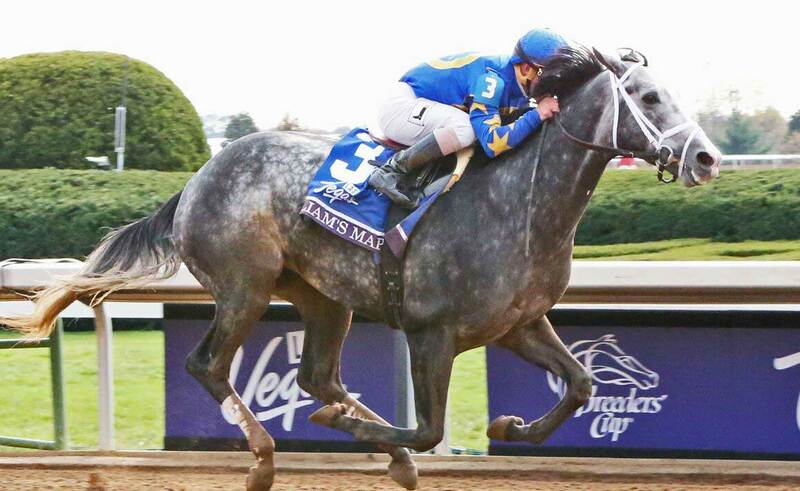 Track record-setting G1 Breeders’ Cup Dirt Mile winner Liam’s Map had a stellar racing career, with six wins and two second-place finishes from eight career starts, and over $1.3 million in earnings. The brilliantly fast son of Unbridled’s Song ran triple-digit Beyer Speed Figures on six occasions, topping his career with 114 Beyers in his G1 Woodward and G1 Breeders’ Cup Dirt Mile victories. 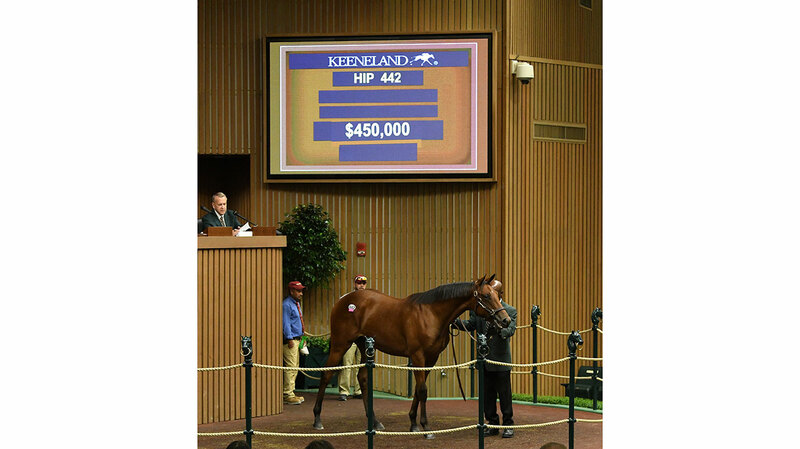 Liam’s Map’s outstanding physical has been passed onto his first crop of yearlings. 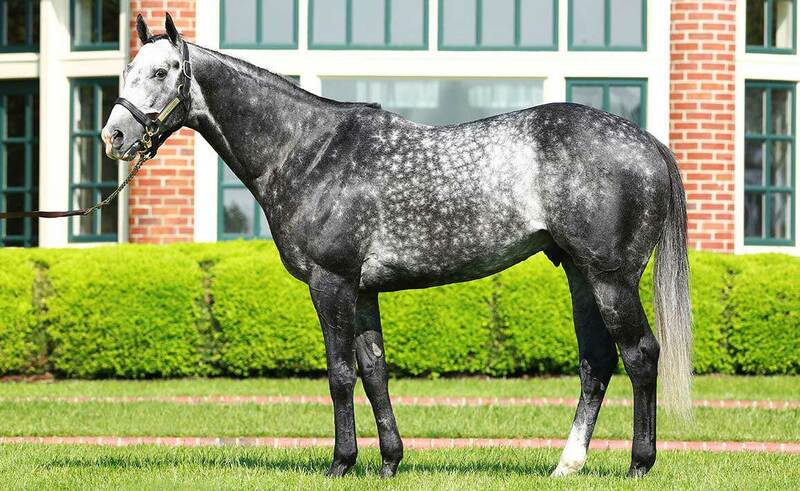 He is a leading first-crop sales sire and ranks third behind American Pharoah and Honor Code on the first-crop yearlings list by both average and median, with figures of $162,293 and $150,000, respectively. 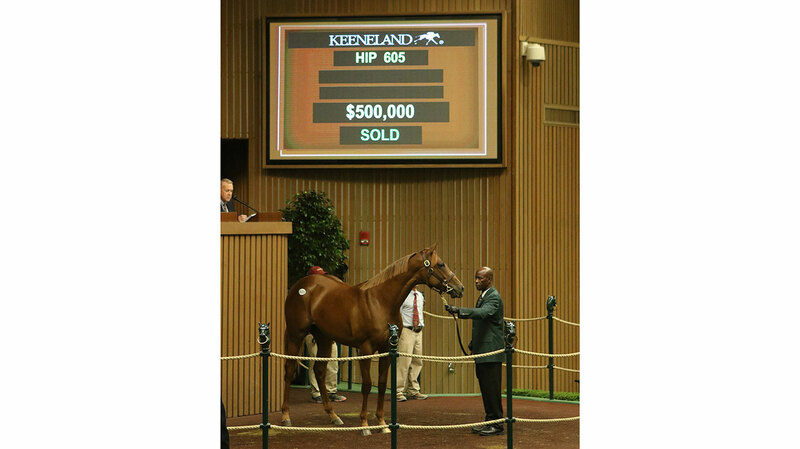 His first colts brought up to $500,000, while his fillies have sold for up to $400,000.Prominent horsemen and horsewomen such as Alex and JoAnn Lieblong, Marette Farrell, Steve Young, and Mike Ryan have been among those who purchased yearlings by Liam’s Map. Liam’s Map, who was an $800,000 Keeneland September yearling, is out of the stakes-winning Trippi mare Miss Macy Sue, and is a half-brother to graded winner Not This Time and black-type winner Taylor S.
Liam’s Map’s pedigree carries only one cross of Northern Dancer in the sixth generation, so his pedigree will be an ideal outcross for mares inbred to Northern Dancer. 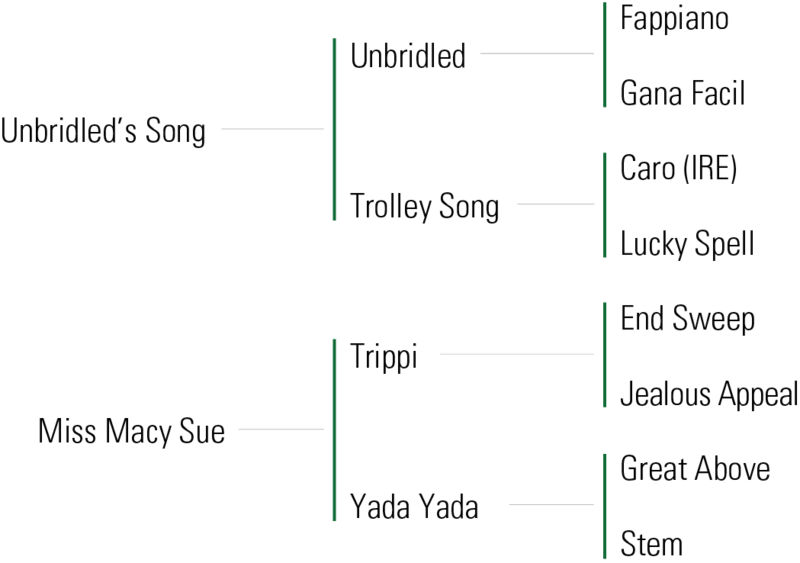 Since Liam’s Map’s pedigree largely consists of horses bred by or based on pedigrees of horses bred by John Nerud, it should also be beneficial to emphasize female families associates with Nerud other than Aspidistra. 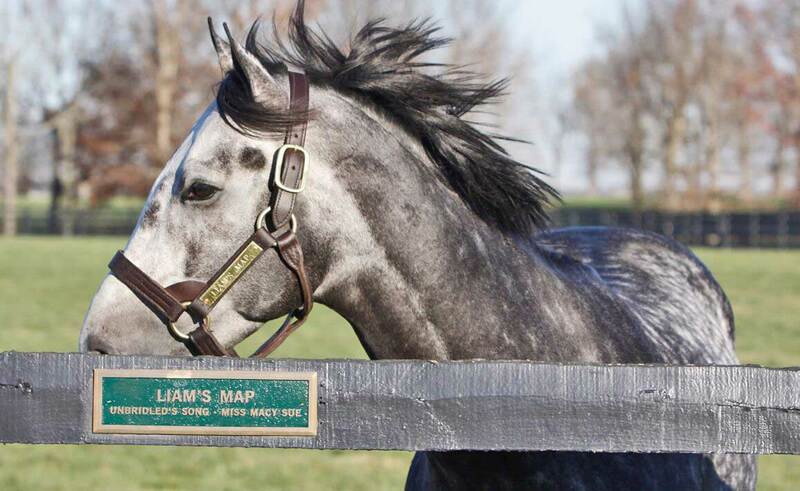 The first juveniles by Liam’s Map will hit the track in 2019. WON Harlan’s Holiday S. at Gulfstream Park (1 1/16 mi., in 1:42.51, 112 Beyer, defeating Valid, Pants On Fire, Schivarelli, etc. ), and an allowance race at Aqueduct (1 mi., in 1:35.67, 100 Beyer, defeating Street Gent, Round, The Brothers Rap, etc.). WON Breeders’ Cup Dirt Mile [G1] at Keeneland (1 mi., in 1:34.54, set NTR, by 2 1/2 lengths, defeating Lea, Red Vine, Wicked Strong, etc. ), Woodward S. [G1] at Saratoga (1 1/8 mi., in 1:47.44, 114 Beyer, by 4 3/4 lengths, defeating Coach Inge, Wicked Strong, Effinex, etc. 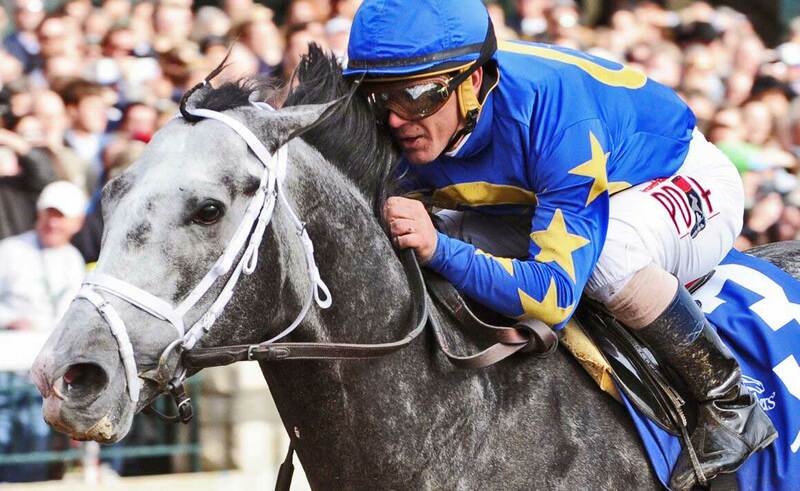 ), an allowance optional claiming race at Belmont Park (1 mi., in 1:34.48, 106 Beyer, defeating Confrontation, Last Gunfighter, North Slope), 2nd Whitney S. [G1] at Saratoga (1 1/8 mi., 113 Beyer, by a neck to Honor Code, defeating Tonalist, Wicked Strong, V. E. Day, etc. ).